Most of us have heard those famous words, but I wonder how often anyone takes the time to reflect upon them or their meaning. On November 2, 1863, many months after the battle of Gettysburg (July 1-3, 1863) had ended, Governor David Wills invited President Abraham Lincoln to “make a few appropriate remarks” at the consecration of a cemetery for the Union war dead. 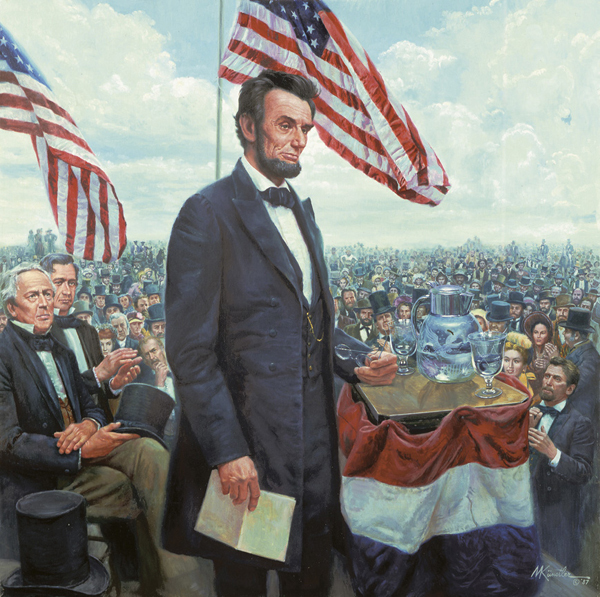 Lincoln accepted the invitation, probably viewing the event as an appropriate time to honor the war dead, as well as reveal his evolving thinking about the way, not merely as a fight to save the Union but as an opportunity to establish freedom for all those under the law. On November 19, 1863, in Gettysburg, Pennsylvania, Lincoln spoke the now famous words. At the time, the President drew criticism because of the brevity of his comments. Yet those “few appropriate remarks” have gone on to be one of the most memorable speeches of all time.